Chicago Fire Department Ambulance 49 on an EMS run. EMS or Emergency Medical Service refers to pre-hospital care of medical emergencies usually by fire department paramedics or firefighter/paramedics in Chicagoland. Most fire department rescue ambulance are Advanced Life Support ambulances also known as Mobile Intensive Care Units (MICU). EMS promotes immediate care to preserve life, prevent further injury, and promote recovery. Six points are represented by the "Star of Life"
1. Early Detection involves members of the public detecting and recognizing medical problems, such as the warning signs of a heart attack or stroke. 2. Early Reporting involves the accurate reporting of the medical emergency to 9-1-1. 3. Early Response involves a goal to response to emergency medical patient's side within six minutes. 4. Good on-scene care involves Advanced Life Support to treat and stabilize a patient before transport. 5. Care in transit involves Advanced Life Support during transportation. 6. Transfer to Definitive Care involves the transfer of care of the patient to the hospital emergency department physicians and proper specialists. Advanced Life Support involves a high level of pre-hopital medical training including cardiac monitoring and defibrillation, endotracheal intubation and airway maintenance, drug administration including intravenous administration, needle decompression, cricothyrotomy and other treatments. ALS includes the treatment of Basic Life Support, which includes CPR, oxygen administration, airway maintenance, bleeding control, splinting, etc. Chicago Fire Department and area suburban fire departments use color coded tags to triage victims for treatment and transportation demands. Many times the physical tags aren't used. For example if there are three victims from a crash, the paramedic's or battalion chief's radio callout might use the sentence "Two Code Red and one Code Yellow" with no actual tags used. In a true multi-casualty setup, the tags are used. RED TAGS - IMMEDIATE ADVANCED LIFE SUPPORT REQUIRED for victims who cannot survive without immediate treatment, but have a chance of survival. Often synonymous with critical condition or life-threatening. YELLOW TAGS - Victims are treated and under observation for indication of worsening condition. 'Yellows' are not in immediate danger of death and are considered stable, unless observations prove otherwise. These victims will still require hospital care and would be treated immediately under normal circumstances without the overload of a mass casualty situation. Often synonymous with serious condition, but not life-threatening. GREEN TAGS - Victims are ambulatory. The victims can wait for treatment and are considered "walking wounded" who will need medical care at some point, after more critical injuries have been treated in a mass casualty situation. Often synonymous with "Good Condition" and not life-threatening. BLACK TAGS - Victims are deceased or have obvious fatal injuries that are so extensive they are not likely to survive given the care or resources that are available. Resources would be more likely to go to care for 'Reds' in a mass casualty situation. WHITE TAGS - Victims are dismissed with minor injuries with no requirement of a doctor's care. White tags are not used in common practice (included for academic purposes). Multi-casualty incidents require extra ambulances. The City of Chicago and suburban fire departments use different terminology to a certain point. The City of Chicago uses the term EMS Plan when responding to a major incident, such as a bus crash, train crash, building collapse, or even a major car crash -- usually involving more than four, five or six victims. Faced with similar conditions, suburban fire departments use the term EMS Box. The City of Chicago also uses EMS Plans for special events in preparation for the possibility of multiple heat illness incidents. When Chicago's EMS Plan III does not supply enough resources, the city goes to an Inter-Divisional Box, similar to the EMS Box terminology of the suburbs and receives mutual aid from the suburbs. The suburban EMS BOX ALARM has a similar response compared to the respective level of the EMS Plan. The suburbs use Box Numbers which may have a specific response. A suburb may have more than one box number with the community limits. 67 F at Unknown Station - Winds are West at 10.3 MPH (8.94 KT). 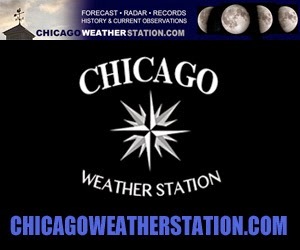 Last Updated on Sep 18 2018, 2:40 pm ST .
Chicago Area’s Population Drops For Fourth Year In A row - New U.S. Census Bureau data shows the Chicago area's population has fallen for the fourth year in a row.